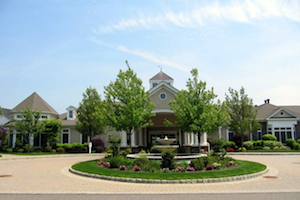 Encore Atlantic Shores is a luxurious 55+ Long Island community just minutes from South Shore beaches. Long Island is a large island that stretches from the New York Harbor into the Atlantic Ocean. The island is divided into four counties: Kings, Queens, Nassau and Suffolk. All four counties are part of the greater New York Metropolitan area, however Kings and Queens counties have become the New York City boroughs known as Brooklyn and Queens. When most people refer to Long Island, they are talking about the island's Nassau and Suffolk counties. Long Island's Nassau and Suffolk counties make up most of the island, with Brooklyn and Queens residing in the westernmost portion. Nassau County, just east of Queens, is more developed and was once home to the luxurious country estates of many wealthy families. Today, Nassau is still one of the highest income counties in the country and it's also the wealthiest county in New York. Active adults who want to settle in Long Island will typically find more affordable communities in Suffolk County. This suburban county covers most of the island, stretching 86 miles east from Nassau County into the Atlantic Ocean. While Suffolk may be more affordable than neighboring Nassau, it is often listed as one of the wealthiest counties in the United States. The Long Island Gold Coast region, which includes both counties, was immortalized in The Great Gatsby, by F. Scott Fitzgerald. Also known as the North Shore, this area features many mansions which have been converted into public attractions which offer art galleries, gardens and more. Farther east, summertime visitors flock to popular coastal areas like The Hamptons, Montauk and Sag Harbor. When it comes to attractions, Long Island boasts easy access to New York City as well as a variety of entertainment options closer to home. Coastal beaches draw visitors during the warm months and Long Island's Wine Country offers tours and tastings at over 30 wineries. There are golf courses, museums, performing arts centers and scenic parks. Small towns and villages throughout the island have their own charming main street shops and restaurants, while bargain hunters can head to the Tanger Outlet Center in Riverhead. The climate in Long Island features all four seasons, with hot, humid summers and cold, snowy winters. The eastern part of the island, farther from the mainland, usually has cooler temperatures. Summer days are often in the low to mid-80s, while winter high temperatures are commonly in the low to mid-30s. Long Island can also be vulnerable to hurricanes, and saw extensive damage from Hurricane Sandy in 2012. Long Island offers diverse regions, from scenic suburbs to more densely populated town centers. Active adults can find more affordable homes in charming communities, like Leisure Knoll or Glenwood Village, as well as luxury options in upscale neighborhoods, such as The Retreat at Carmel or Encore Atlantic Shores. With so much to offer, it's easy to see why Long Island is an appealing East Coast destination for so many active adult retirees.